Flooring America Yuma is your source for personalized design assistance and leading-edge luxury vinyl flooring in Yuma, AZ. Our extensive selection can leave many customers feeling overwhelmed, so we provide you with the support you need, at every step of the process. We consider the entire home when we identify a series of flooring options that fit your vision and your approach to life. Transform any ordinary bathroom or kitchen into your favorite room in your home when you combine the character of natural wood and the durability of vinyl into one innovative product. 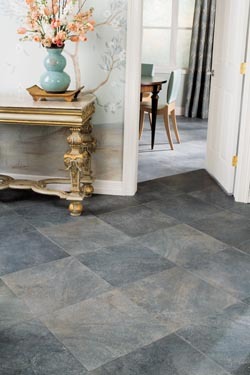 We carry a number of vinyl products from some of the leading names in the flooring industry. Ask about our 5 Star Selection System that helps the customer get the products and protections they need for their particular home. Creating a design plan for a home with active kids, pets, and people on the go can be challenging for any flooring specialist. Our clients want a floor that looks great while being easy to clean. Many feel as though they have to sacrifice style for performance when it comes to flooring for the kitchen and bathroom. Luxury vinyl in the hands of an experienced installation specialist provides you with the performance you need and the style you desire. Choose a luxury vinyl plank product that fits your unique environment, and make the installation process that much easier. Newer floors are always a bonus whenever you are putting your home on the market for sale. Your location will become a destination when you add a stylish option like our full array of vinyl flooring products. Contact us today and start bringing your design plan to life with our luxury vinyl flooring. We proudly serve customers in Yuma, San Luis, Somerton, Wellton, Dateland, Arizona, and the surrounding communities.